Even world leaders can get twitchy fingers. 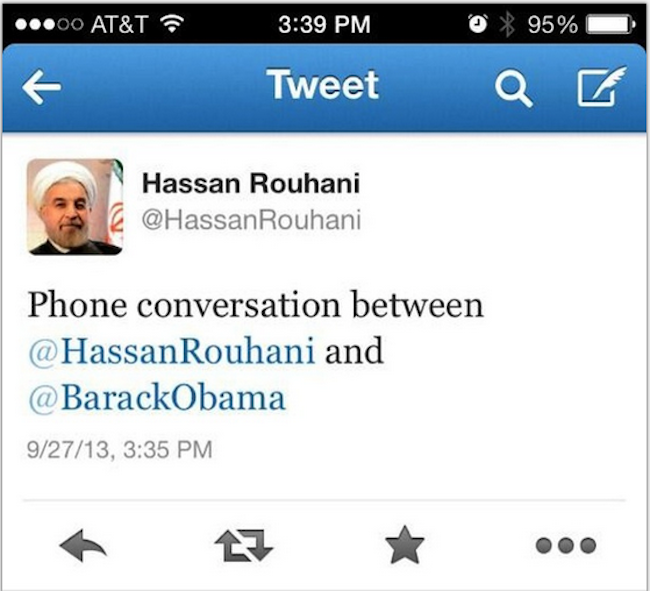 Earlier today, President Obama and the Iranian president Hassan Rouhani had a phone call. The discussion was, it seems, substantial: Among its topics was Iran's nuclear program. But the content of the conversation was only one thing that made the call a big deal; even more significant was the fact that any conversation took place at all. The talk marked the first direct communication between a U.S. president and an Iranian president since 1979, when the Islamic Republic was installed and the Shah ousted and the diplomatic relations between the two countries all but severed. The talk itself -- the gesture of it, the meaning of it -- was, in other words, big news. Which was why President Obama, a few minutes ago, called a press conference to announce the conversation to the media. 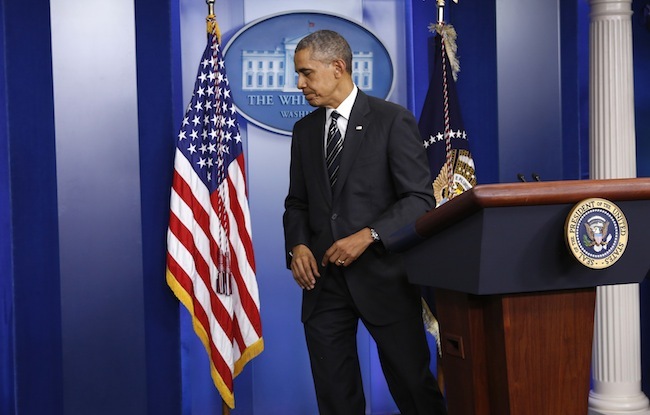 "Just now I spoke on the phone with President Rouhani," Obama told convened reporters. The call, he added, "underscores the deep mistrust between our countries, but also indicates the prospect of moving on that difficult history." But it was too late. The tweet, its tweeter having been followed by many members of the American media in the lead up to this week's will-they-shake-hands-at-the-UN-or-won't-they discussions, filled the feeds of reporters around the country. Retweets were posted, exclamations offered, screenshots produced. Did Rouhani just scoop the American president? Did the expected handshake come as a phone call, and did the phone call get announced via a tweet? Seems that way, yes. Which is a nice little lesson in contemporary diplomacy: Even world leaders can get twitchy fingers. And, as a result, news of a conversation that's been 33 years in the making can be scooped in a second.